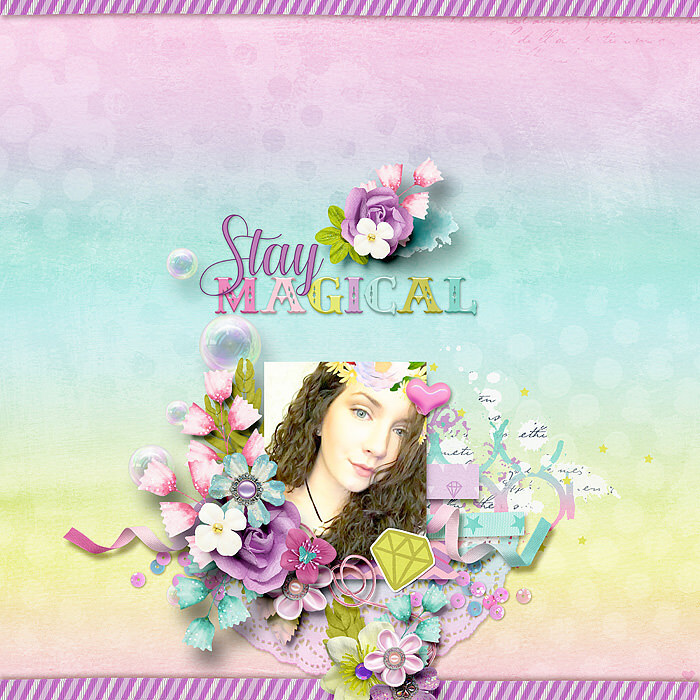 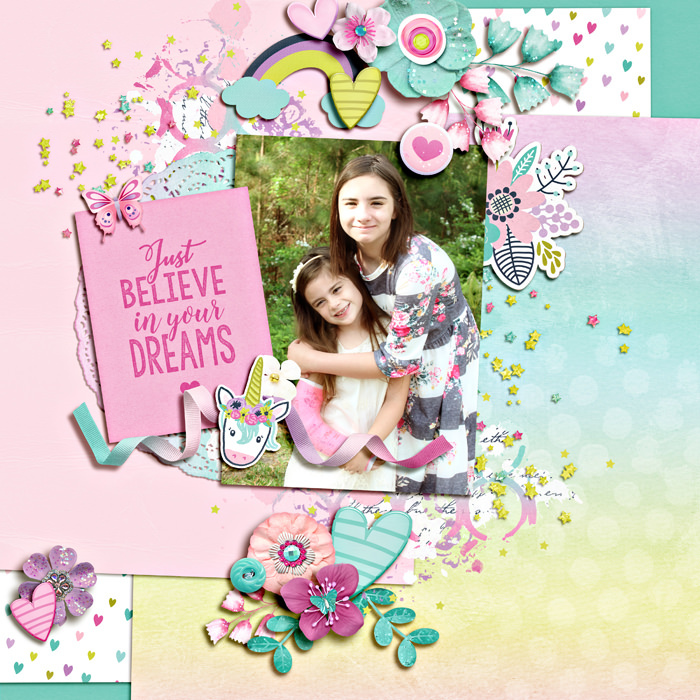 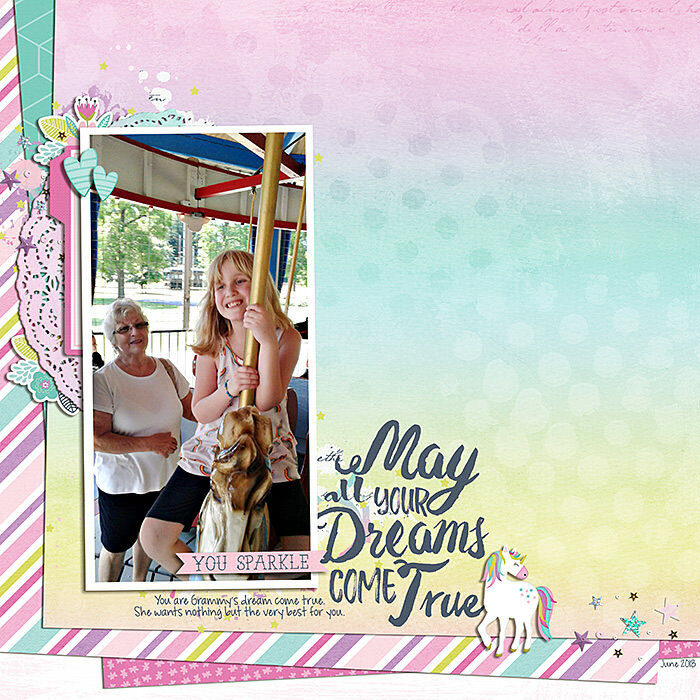 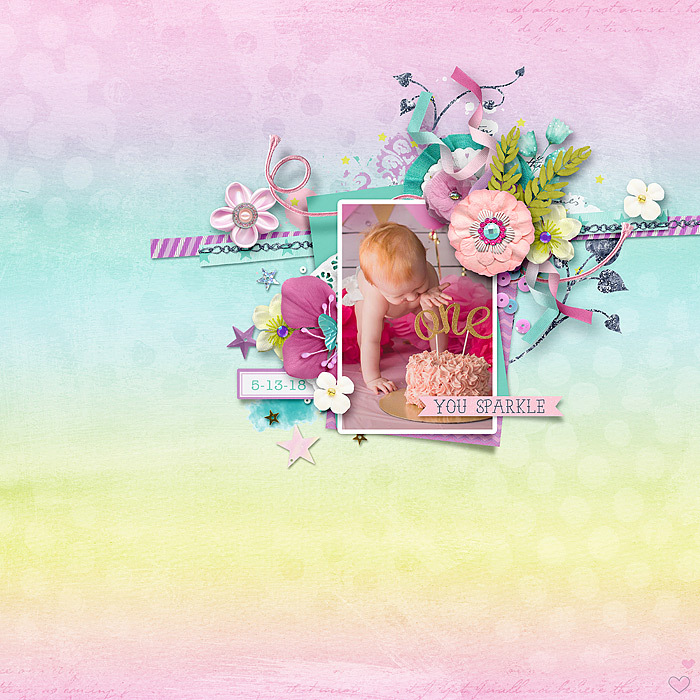 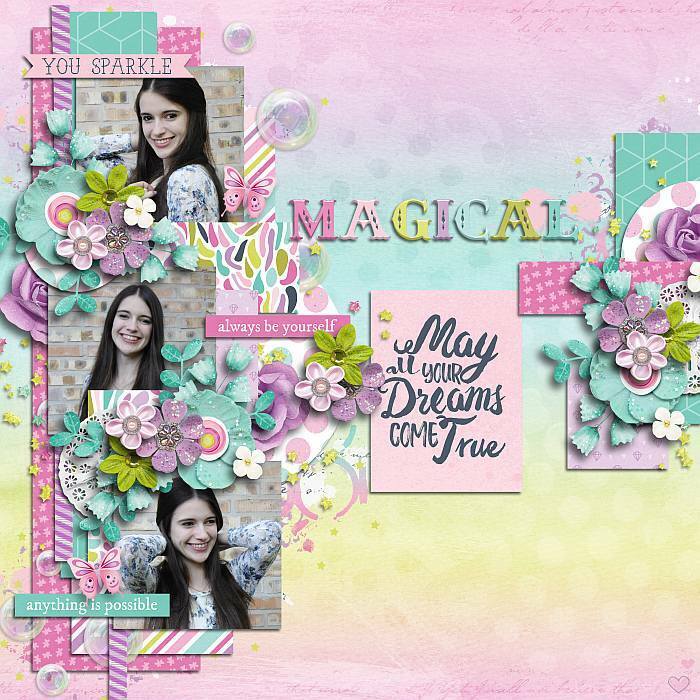 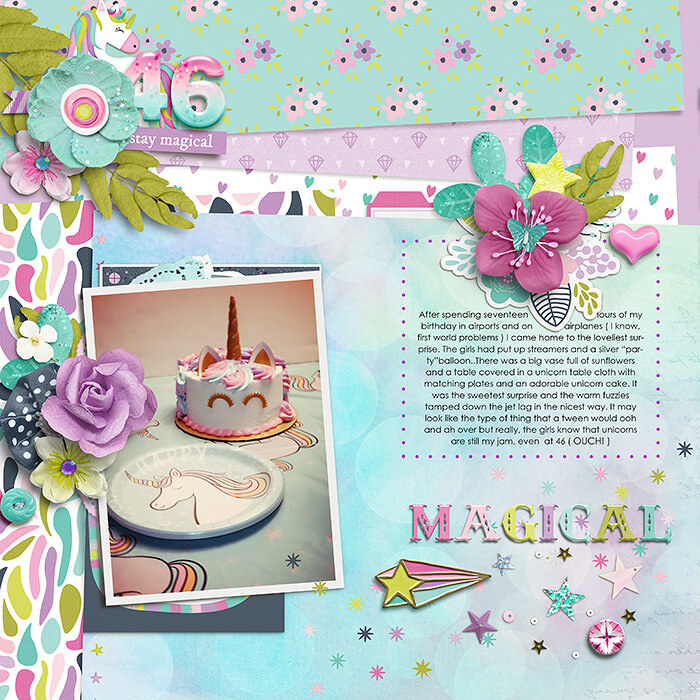 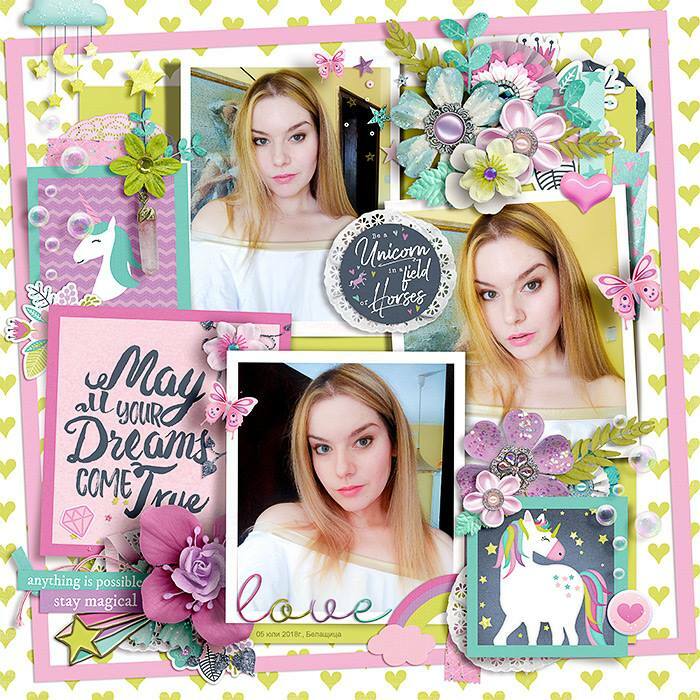 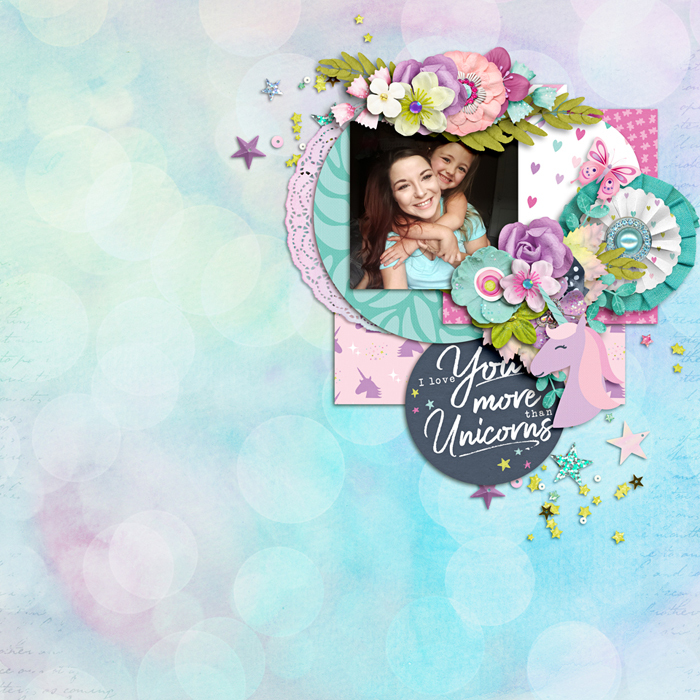 A digital scrapbooking kit by Kelly Bangs Creative, Brook Magee & Blagovesta Gosheva; 'Magical: Unicorns' is the perfect dose of rainbow rays, powdery sweetness and unicorn power to make your scrapbook pages sparkle! 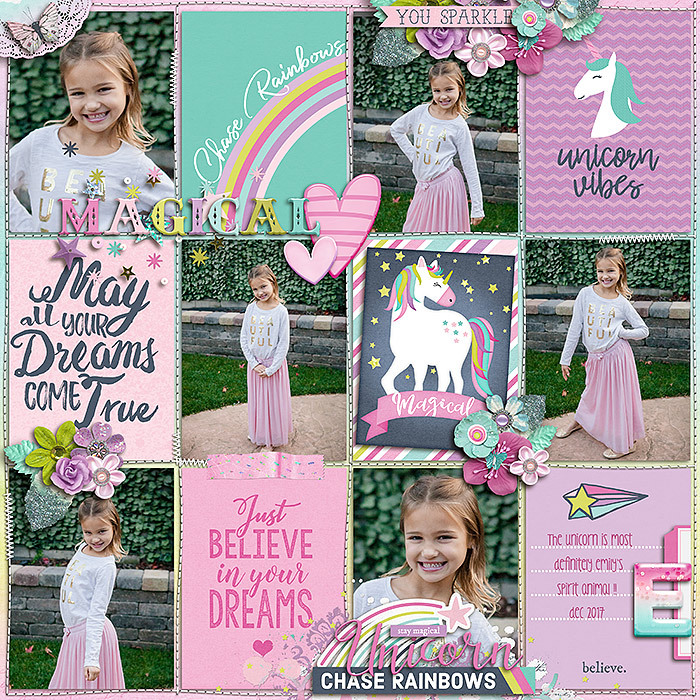 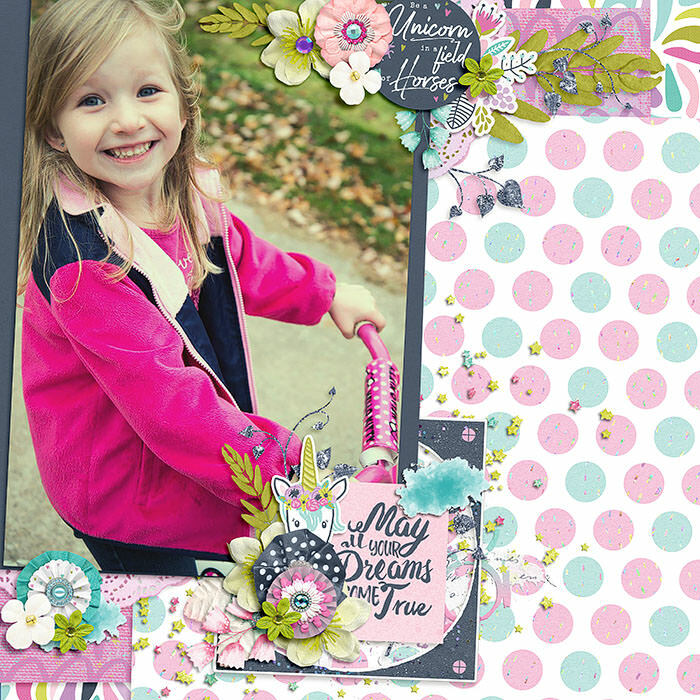 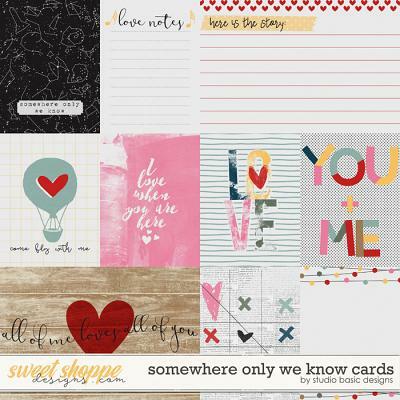 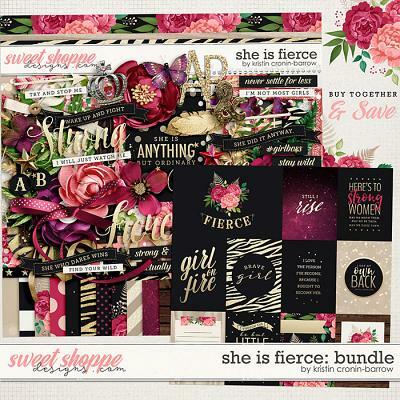 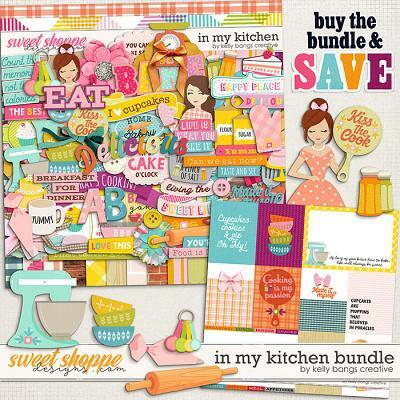 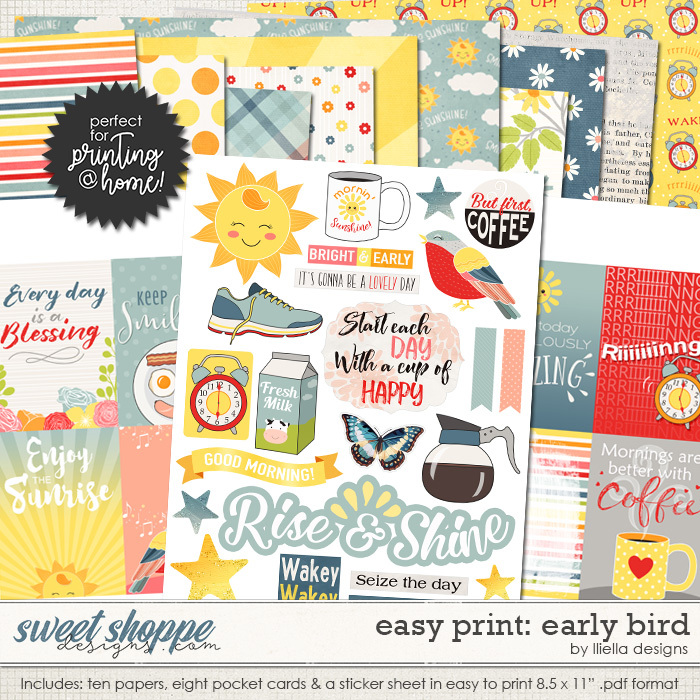 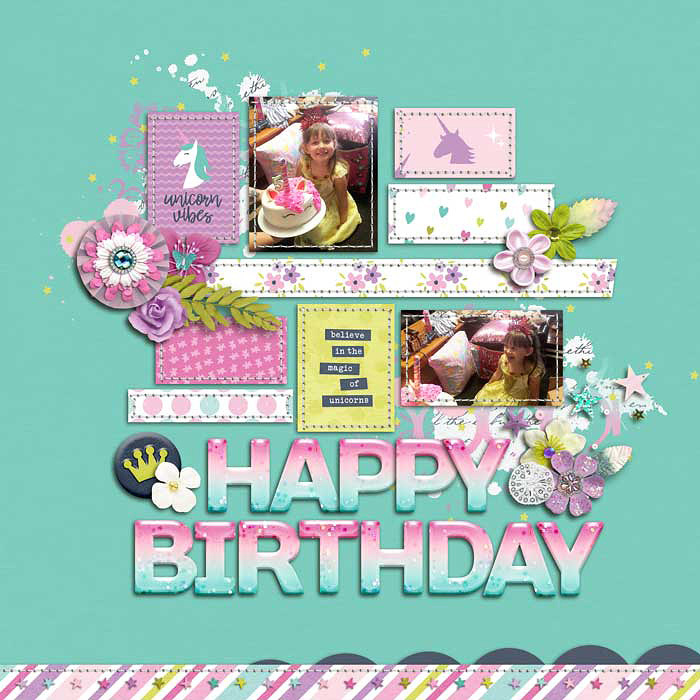 Document your magical memories, girl power, unicorn obsession and other beautiful everyday moments with this fantastic candy-colored kit in hues of aqua, pink, raspberry, plum, lime, and midnight blue-gray. 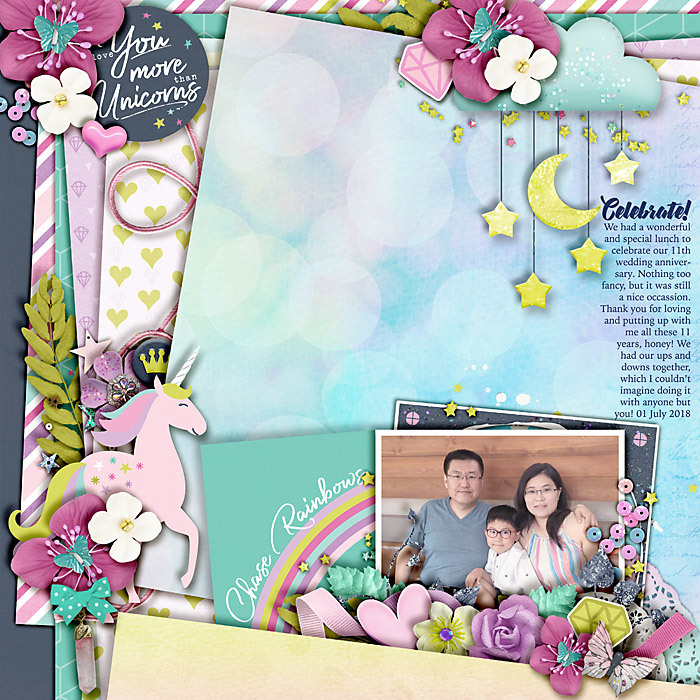 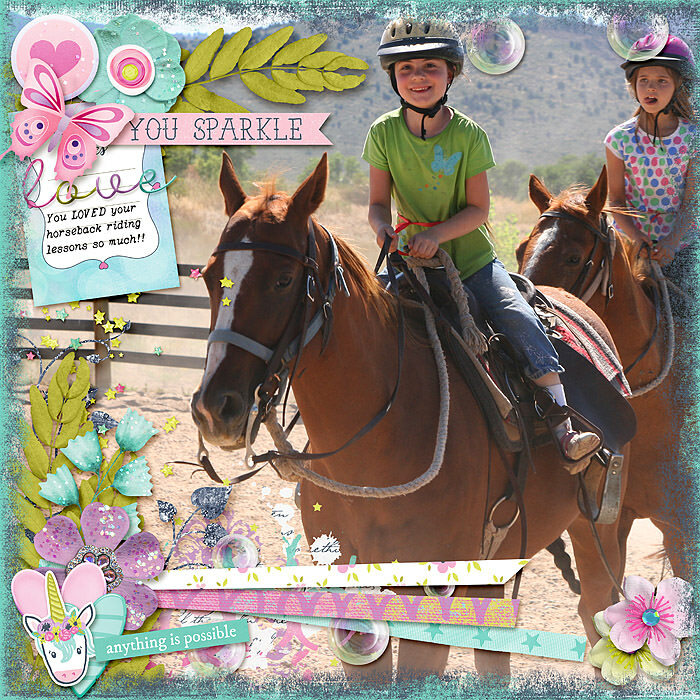 Filled to the brim with pretty elements such as glittered flowers with fanciful centers made of treasures, butterflies that gently flutter, lovely prancing and smiling unicorns, rainbows, scatters of all kinds, iridescent bubbles, and bursting stars! 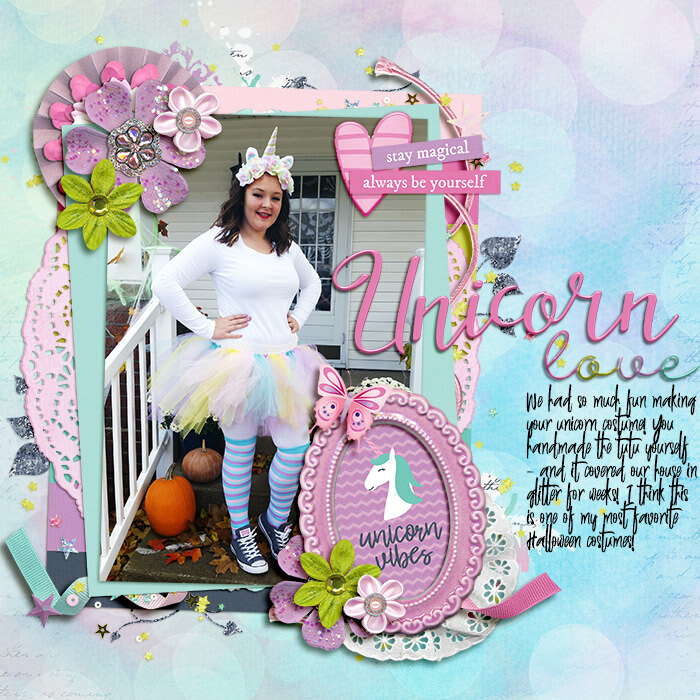 Unicorn lovers, this isn't a dream! 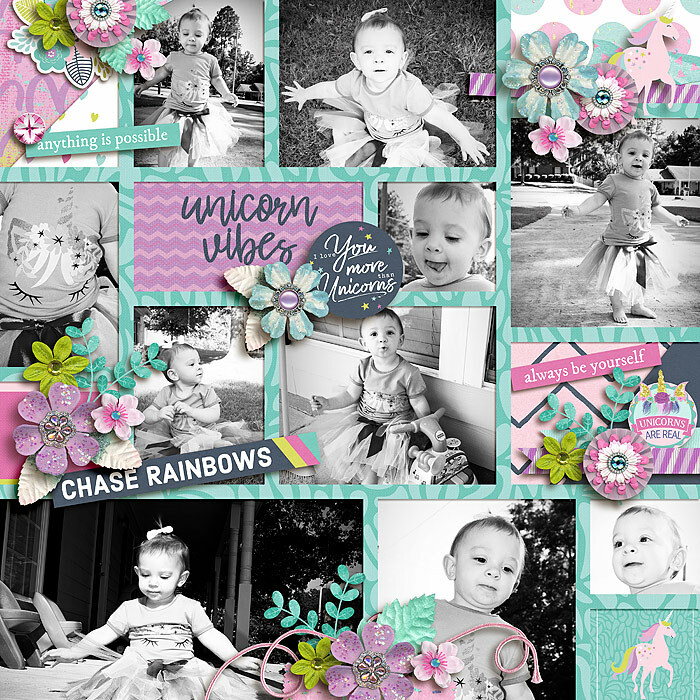 This is the ultimate kit for capturing special moments in the most fantastical way. 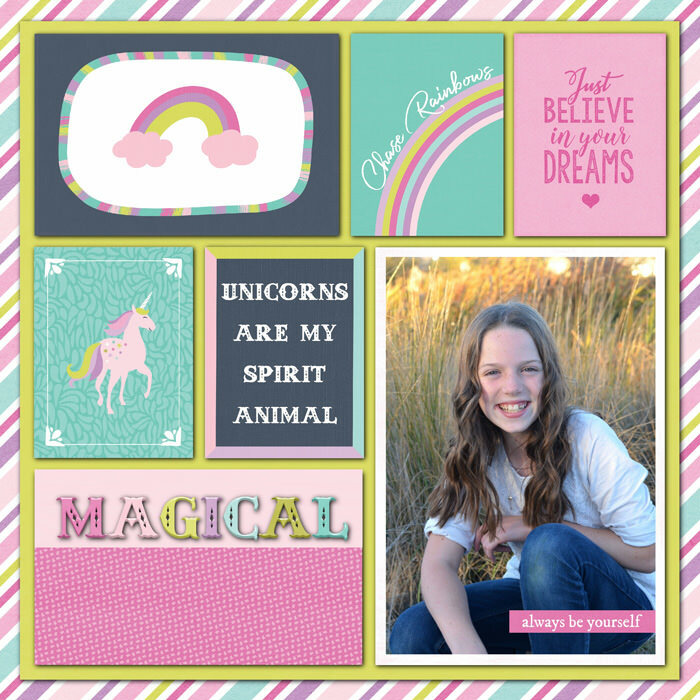 'Magical: Unicorns" is packed full of 18 patterned papers (plus 1 alternative version), 10 background papers, 96 elements and a glittery alpha (0-9, select characters and letters A-Z in caps, saved as individual .png files). 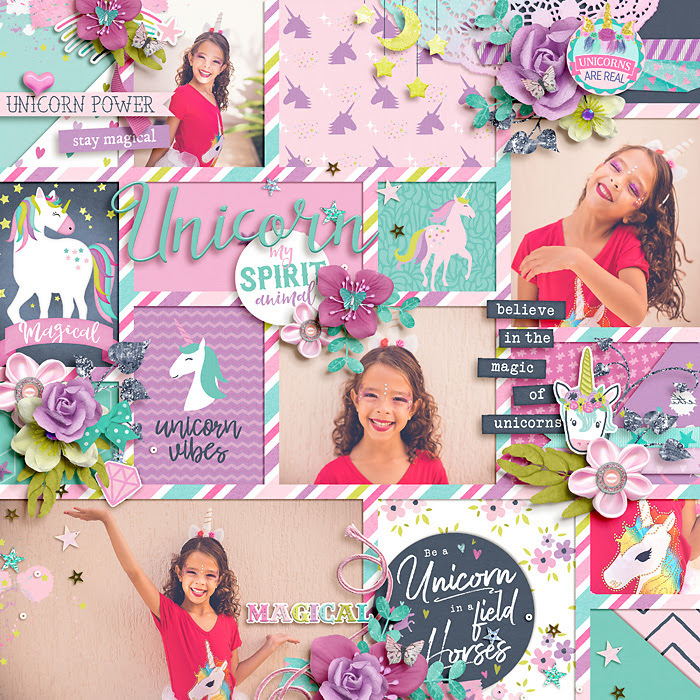 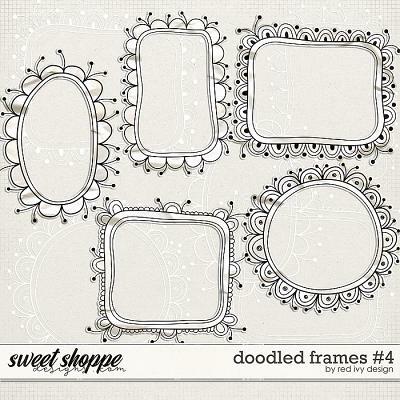 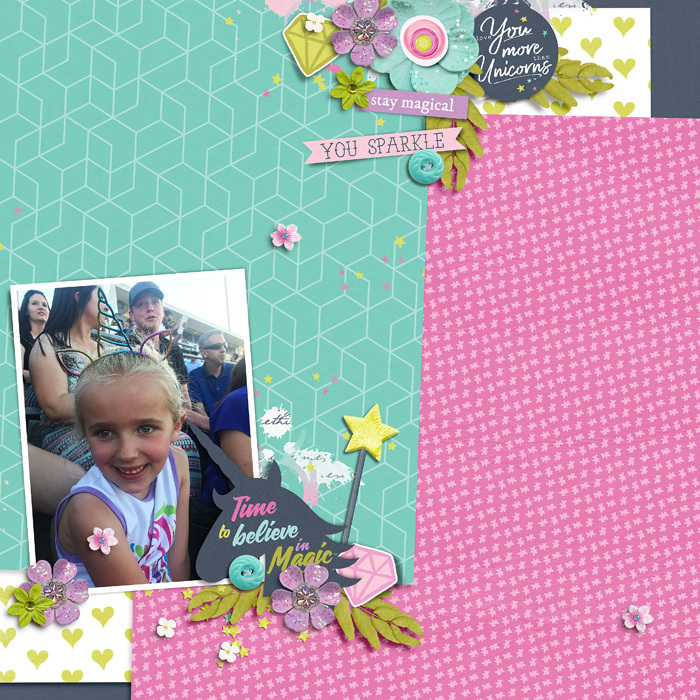 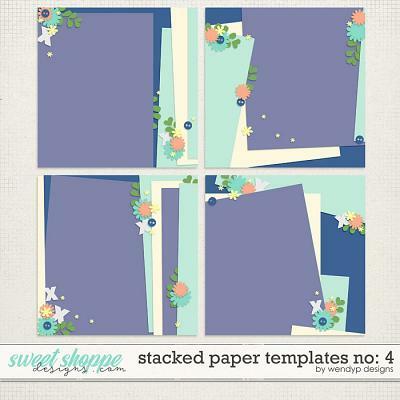 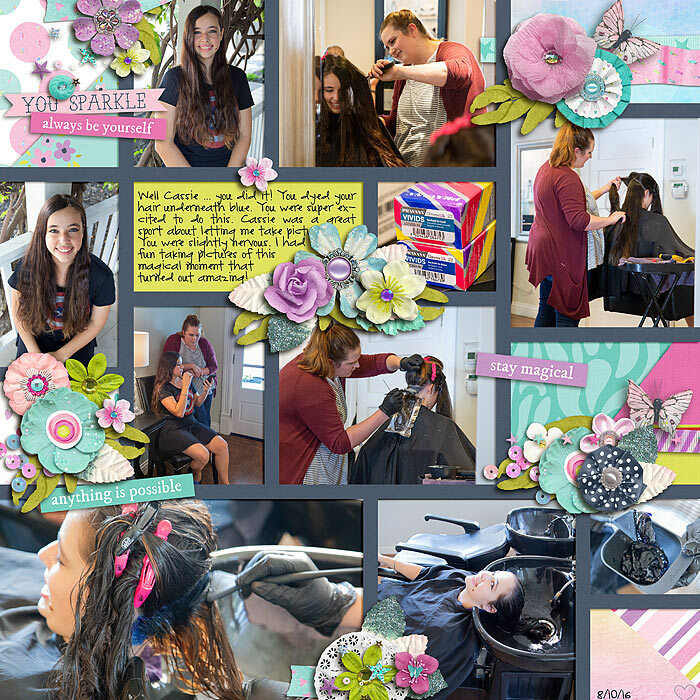 The digital elements include items such as: brad, buttons, bubbles, diamonds, doily, flowers, frames, foliage, leaves, paint, scatters, sequins, ribbons, stickers, stitch, unicorns, crystal, pin, washi, bow, wand, hearts, rosettes, string, word arts, word strips, clouds, rainbows, tabs, trim and more!